Zanelli Designs | Image :: Fire in the Hills. Here's a photo of me spinning taken at a friends party. 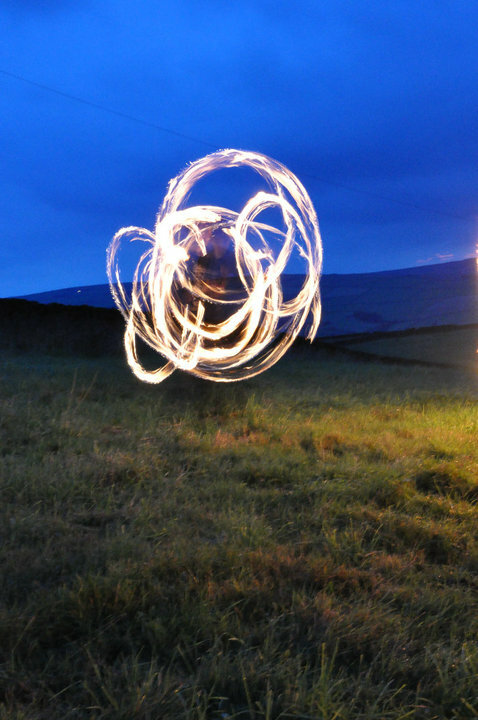 I'm using single wick poi here.